TeacherStudio Teacher App - Reclaim your spare time! Teachers, reclaim your spare time! The best app for everyday life at school. It's absolutely worth its price. Fast and friendly support. Active development with inclusion of the community. The app is helpful and protects my sanity regardless of all the work intesification 😉. Thank's for that! 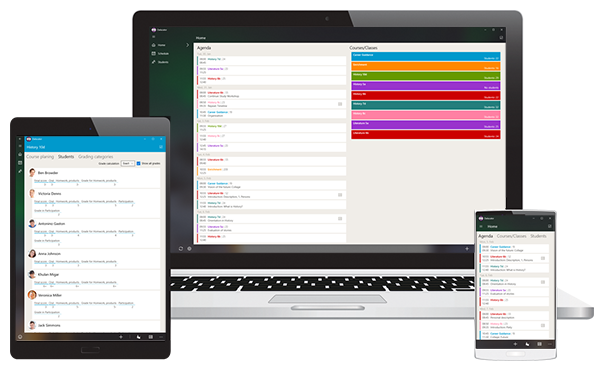 Great tool for managing multiple classes, lesson planning, grading... Besides the support is unbeatable! 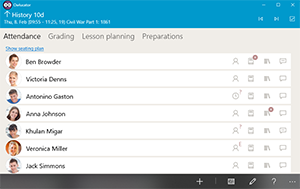 Get the best Teacher App! TeacherStudio is now available for Windows 10, Android and iOS in the UK, France, Denmark, Germany, Austria, Switzerland, Estonia, the Netherlands, Sweden and Bulgaria. We are adding countries all the time. 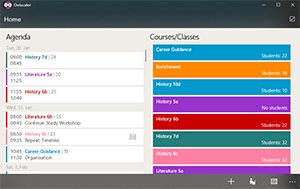 TeacherStudio combines grades, schedule and course book. It helps you to find information fast and easy. 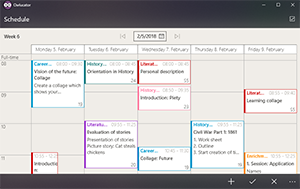 The integrated schedule eases managing appointments and lessons. Create, cancel and reschedule without breaking a sweat. 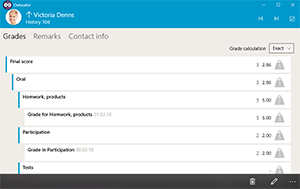 TeacherStudio documents missing homework, absences and all remarks about your students and courses. TeacherStudio calculates your students grades automatically. You can overrule it though to give educational grades. 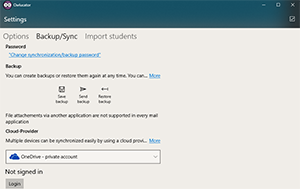 TeacherStudio creates encrypted backups and synchronizes your data between your Windows 10 devices, so you need never fear to lose your data. All data is saved locally. We don't want your data, it's yours! 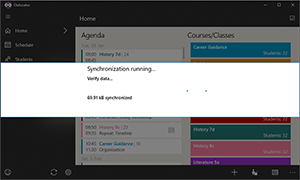 Features like the cloud synchronization are only executed if and when you want it.